Reduce the Fathers-Day-carbon-footprint. Celebrate an eco-friendly-Fathers-Day, perfect for the eco-conscious Dad. We tend to think of men (at least I do) as hard to buy for, but really, there are quite a few items out there to consider. And, When is Fathers Day? In Canada, the US and UK, Fathers Day is celebrated on the third Sunday in June. This varies depending where you live. Is your Dad a little conservative, a green-living type of guy? If he is, then there are a number of ways to celebrate this day in simple yet meaningful ways that he will remember and appreciate. By concentrating on natural products, simplistic ideas, and items that make use of recyclables and renewable energy sources, you have a good start on reducing the Fathers-Day-carbon-footprint in your home and pleasing the Green-Dad very much. Make a donation in Dad's name to a charity he is passionate about, like a wildlife fund for example. You can plant a tree in his name somewhere within your own community. The naturally generous Dad will think this makes great sense. Fathers day baskets can be theme-based and filled with a number of goodies, just use a little imagination. If he is a gardener, he might need a few new gardening tools, perhaps some packages of seed, or a gift certificate to his favorite garden centre. He may love some new variety of shrub to plant on the property. If he's decided to delve into the world of organic gardening, how about a subscription to a good magazine on the subject? If Dad has a cellphone and an mp3, how about a solar charger to power up all of his green gadgets? Solar lighting around the yard or for on the deck goes great with Green Dads in terms of decor, and are especially visually attractive when relaxing in the backyard in the evening. How about a handcrafted bird feeder or even a solar powered fountain for his garden? Is Your Dad A Weather-Watcher? Some Dads just love to know what the weather details are every second of the day. There's a "Dad" in my house who is like that. Solar powered weather stations tell you lots by giving the level of humidity and the temperature indoors as well as out. You can get other models that give lots more info like barometric pressure, wind chill, wind speeds and so on. The weather enthusiast will love this a gift like this. Dads who like to tinker and make things, usually are Dads who love and appreciate the benefits of handcrafted and recycled things. 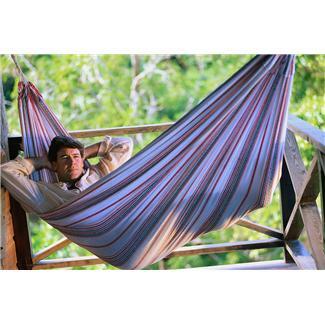 Make your Dad pretty comfy in a recycled hammock. Check them out. These items are made out cotton that's been recycled, hemp, and polyester fibres rewoven and made from drinking bottles. Looking for new lawn chairs to complete the new look for the backyard? Dad might love one made from a cast off white old wine barrel. Yes, they actually recycle these items into something comfy too! 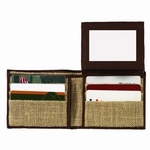 Reduce Your Fathers-Day-Carbon-Footprint By Thinking "Recycling"
Does Dad need a new wallet? They're making wallets and belts now that are as beautiful and functional as any other store-bought item, except they come in all types of recycled materials. Imagine a wallet made out of old bike tubes or newspapers. There are a number of good websites out there that feature everyday items that are recycled and made from everything imaginable. What a great way to reduce your fathers-day-carbon-footprint. If you live in the city and have limited space and certain restrictions, you can still experience that campfire feeling in your own backyard. How about a firebowl? These have the same feel as sitting inside in front of your fireplace on a cold winters' night. Consider a firebowl for the backyard. And guess what? Some varieties are made from recycled copper. Another great way to reduce your Fathers-Day-Carbon-Footprint by purchasing something out of recycled materials. And especially if you live in the city, maybe the electrically charged bikes that are so popular now, may just be the thing your Dad has been thinking about. Never know. More than ever, people of all ages are looking to these bikes to save on gas. These are cool for the Dads who want to give their bigger vehicles a rest, are concerned about rising fuel costs and just want to save some wear and tear. These bikes will get anyone anywhere they want to go whether its for sport or commuting to work. Might be a very special gift that's eco-friendly and works to reduce carbon footprints that would really appeal to Dad as sensible and economical too. 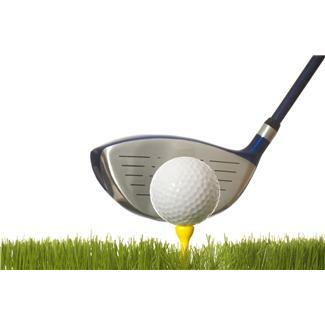 Is your Dad an avid golfer? They actually make environmentally friendly and biodegradable golf balls and tees and other accessories. A gift of this nature would make an excellent gift to reduce Fathers-day-carbon-footprints everywhere! How about a canvas cooking apron? Get the kids to decorate it with fabric paint. Throw in some barbecue cookware and a cookbook full of delicious organic food dishes. 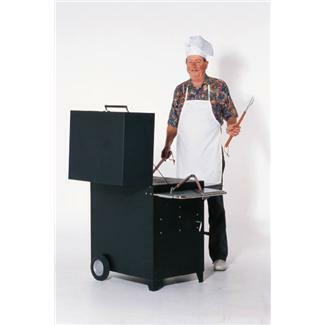 Lots of Dads are Chefs at heart too, especially when it comes to barbecue. Speaking of organics, introduce your Dad to the world of organic clothing in which everything from slippers to T-shirts can be picked up reasonably. Organics are contributing in a big way to carbon footprint reduction everywhere, not just for a fathers-day-carbon-footprint. Buy a plain shirt, and get the kids to put their handprints or names on the shirt in fabric paints as well. How unique is that? A Handmade Father's Day card - You can print free webcards from your computer and enhance them with your own decorations. You can print or cut out some interesting pictures to personalize and make your own card from scratch with simple construction paper. Finish it off with your own personal wishes for Dad on Father's Day. "#1 Dad" is pretty popular. New baby in the home? 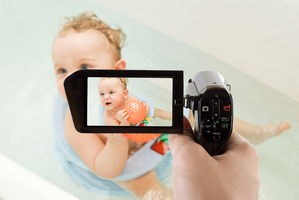 Start now with pics of Dad and baby and continue this through the years. You'll be glad you did, because you can never go back and get those pictures, if you don't start taking them now. Make a movie of them. A child's handprint made in clay or dough is very special to a first time Father. Make a framed picture of the children and transpose it onto a sweatshirt or t-shirt. There are photo-shops that will provide this service easily onto clothing or coffee cups, or probably whatever you like if they can. Make a slideshow on disc of family pictures for Dad. This is just so precious and thoughtful for the Father that is away for very very long periods of time. Dads are busy people too. Reduce your Fathers-day-carbon-footprint and Dads chore list. Give him the day off to relax. Quality time with Dad doesn't cost anything. Plan a games night. For those of us who have Dads at home every single evening, there are those who don't as their Fathers are away alot because of their jobs. A quiet evening spent together can be more valuable than the most expensive store-bought present. Everyone likes to eat, so why not treat your dad to a nice meal? Since you're trying to save money, you don't have to take him to an expensive restaurant. Instead, you could put together a picnic or cook him a meal at home. Still stuck for ideas? There are plenty of free printable Father's Day crafts for kids on the web. Decorate some coupons and put a booklet of them together. He would be thrilled with a coupon book for a car wash, garage cleaning, lawn mowing or taking over gardening duties for a period of time? He might appreciate the break from weeding the garden, or trimming hedges and shrubs. The trick is, you better be ready, willing and able when he decides it's time to cash in! There are lots of options for reducing the Fathers-Day-carbon-footprint at your house, and the ideas aren't any less meaningful at all. In fact, they are actually much more personalized.